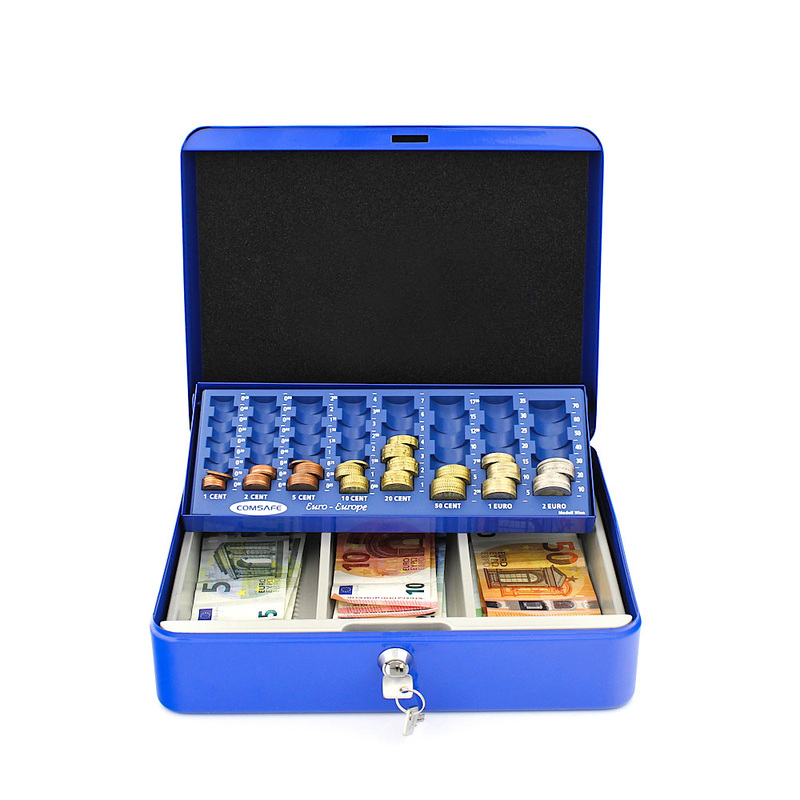 The plastic powder coated cash box and coin counting kit Wien is the smallest in the field of money counting cassettes. Inside are a euro notes slot and a euro coin counting board, which slides automatically when the lid is opened. The cash box is closed with a safety cylinder lock.